During the 21st century, many have gone from television to social networks, using them as their main source of news and entertainment. Celebrities, sportsmen, artists and even politicians have jumped on the bandwagon. Political parties around the world are learning that, along with advertising in traditional media such as television and newspapers, they must invest in digital marketing if they want to compete with their rival parties. In recent years, there has been a great deal of acceptance in the UK and US parties, in particular, using social media campaigns to defeat their opponents. In Spain, it is also being simmered in recent years. American politicians on Instagram, Facebook, Twitter and Snapchat are not a new phenomenon at all, even large-scale socio-political movements have been created. On November 4, 2008, Barack Obama won the presidency of the United States by a landslide victory (by a margin of nearly 8.5 million votes). It is considered to be the first presidency in the world to use the Internet, and in particular social networks, in a massive and professionalized way. Let's remember, first of all, that in 2008 Facebook had 145 million monthly users (MAU) instead of the current 2.3 billion; Twitter in Spanish did not yet exist and Instagram would not appear until two years later. One of the keys to turning ordinary people into committed volunteers, donors and advocates (raising $650 million in funds from 3 million donors) was to use social networking, email promotion, text messaging and online video as vehicles for organized communication. It was the first online campaign. Compared to Republican candidate John McCain's campaign, Obama's website received twice as many visitors, 4 times as many YouTube views, 5 times as many Facebook fans and 10 times as many volunteers who helped online. - Make it easier for people to search for, find and share relevant content. - Constantly optimize what was happening to enhance opportunities. - Integrate social networks and online communication in all elements of the campaign. More than ten years later, with today's social networks, these good practices are still in place. His presidency also marked a new way of communicating with citizens, through the network of supporters who were recruited, organized and channeled during the campaign. 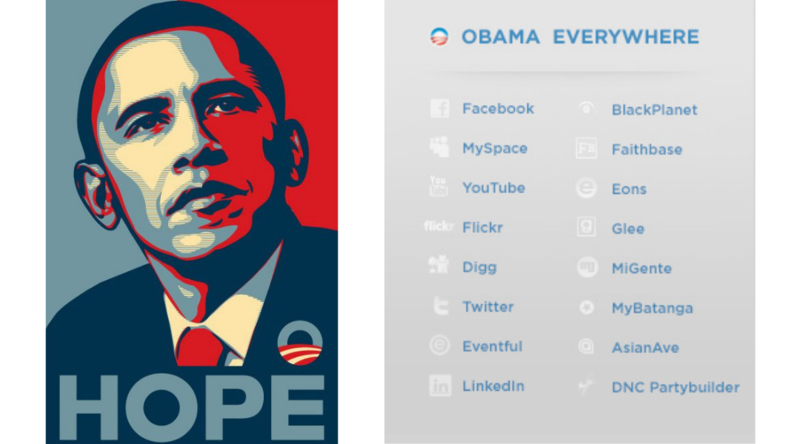 Obama was the first president to "rule with a smartphone," marking a before and after in the political world regarding understanding and using the potential of Social Networks. With millions of people attached to WhatsApp, Instagram, Facebook, Twitter, and other applications, social networks have become an increasingly powerful political and cultural force, to the extent that their effects are disrupting the development of global events. Throughout much of the last decade, we have seen the emergence of socio-political movements around the world that receive the power of the network. There was a Green Revolution in Iran, followed by the Arab Spring in the Middle East and North Africa. In the United States, the Occupy Wall Street movement and in Spain, the 15M without going any further, it was Trendic Topic for days on Twitter. 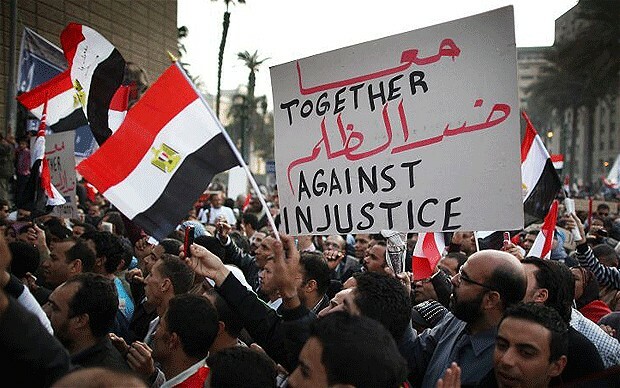 Arab Spring is a popular term used to describe the revolutionary movement of demonstrations and protests, and civil wars in the Arab world that began on December 18, 2010 in Tunisia and spread to all Arab countries. Tunisia and Egypt became the center of this revolution, and then went on to include Libya, Yemen, Bahrain, Syria, Algeria, Iraq, Jordan, Kuwait, Morocco, Sudan, Mauritania, Oman, Saudi Arabia, Djibouti, Western Sahara and Palestine. The revolutionary movement of Yemeni youth began to change the system through mobilization of the population and social action. Facebook played an important role in the revolution and how Yemeni youth used Facebook to attract more followers, maintain that spirit and connect with family members. 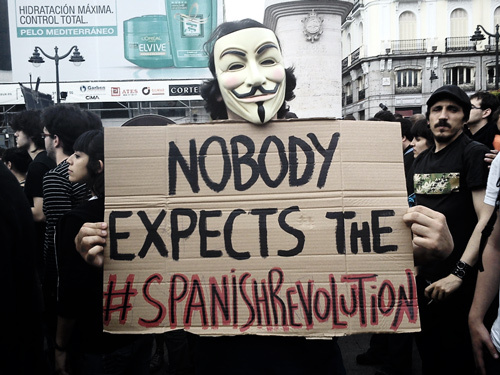 In 2011, the 15M movement was born and thousands of Spanish people connected to Twitter to find out about calls, organize camping, manage meetings in public squares throughout Spain to protest the progressive detriment of their welfare state. Seeing it with 8 years of perspective, Twitter played an important role in the dissemination of information, in the calls and in the organization of the 15M movement. Everything around this social network was aimed at creating a trend in the hashtags to make the movement visible and to invite to the programmed activities, expose the slogans and inform about the available physical spaces. Some 560,000 tuits were collected and published by some 85,000 Twitter users between the end of April and the end of May 2011. Some of the most popular hashtags were: #15M and #SpanishRevolution. 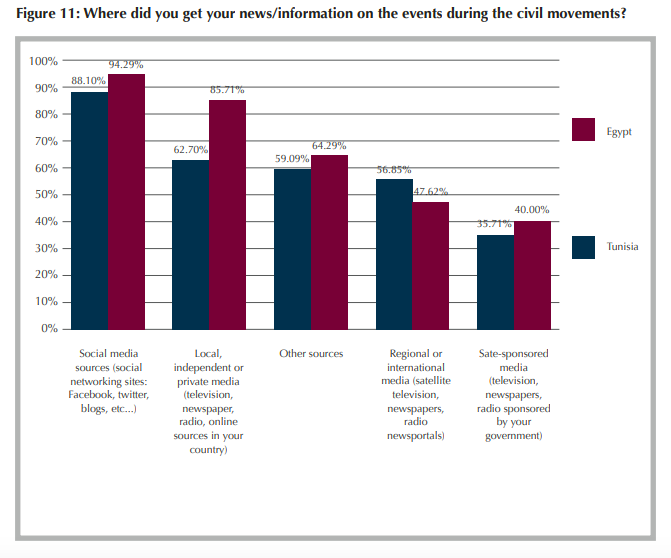 With almost 10 years of distance between these movements and the current landscape, social networks have evolved and while Facebook and Twitter had been the kings of the connection between politics and the proliferation of socio-political movements of the people, Instagram burst in to take the throne and evolve into a new social era. As a context, it should be emphasized that Facebook is not only the social network of the same name, it is a company with a turnover of 55B$ in 2018, which also owns Instagram (1.1B of users/month), WhatsApp (1.5B) and Messenger (1.4B). It is the leading social network and the unparalleled family of social network products. This is especially relevant when assessing the quantity and quality of audience information available to you. The data of this audience, as always remembered, is not for sale, but access to it through Facebook Ads, which in turn manages Instagram Ads. This means that the quality of the audience we want to impact is infinitely superior to that of any other medium, digital or traditional. And this translates into better results, both in terms of effectiveness and cost efficiency. Faced with this quest for quality, users increasingly feared their privacy. The European Union's General Data Protection Regulation (GDPR), which came into force less than a year ago to improve the protection of personal data, has had a lot to do with the fact that politicians and celebrities from around the world are showing their daily lives and their most human face in the Facebook group. The Instagram application, which Facebook bought in 2012 for $1 trillion, has been largely dominated by celebrities and "influential people" with large followers, who are often paid by brands to promote their products. Many have exchanged intimacy, allowing fans to enter their daily lives through the Instagram Stories. New Zealand Prime Minister Jacinda Ardern is very much in the trend after being elected and has 593k followers in the App, or Congresswoman Alexandria Ocasio-Cortez with 2.9 million followers to whom she said shortly after being elected last year that she was going to "change everything a bit" by being on Instagram "more often". And yes it is, we can see every day her life behind the stories of this application. Now politicians and activists are climbing on the Instagram bandwagon hoping to win the support of the Millennials and Generation Z, undisputed connoisseurs of social networks before the 2020 presidential election. At the same time, potential voters are flocking to the platform. According to research firm eMarketer, Instagram's user base has almost doubled in the last two years, from 428 million in 2016 to more than 800 million worldwide. 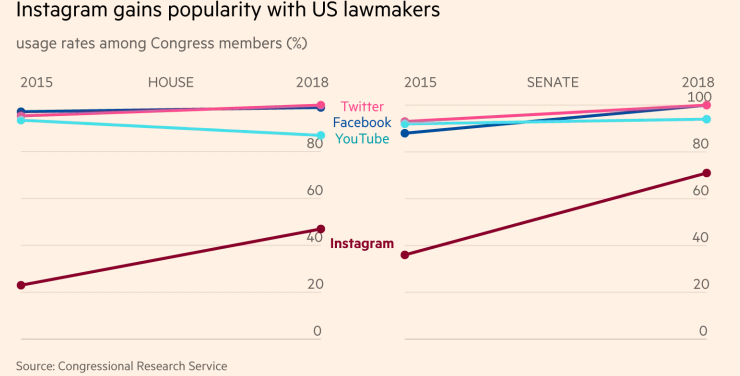 Data released by the Congressional Research Service last October shows that Instagram is gaining popularity among politicians faster than any other platform. Utilization by members of the U.S. House of Representatives was nearly 50 percent in 2018, compared to nearly 25 percent in 2015. Meanwhile, more than 70% of senators had an account in 2018, up from 36% in 2015. It is in this context that we should expect to see more world political leaders, and above all, those who are campaigning, using more and more Instagram. It leads us to the open question: are we facing a new game of thrones in which Instagram holds the iron throne?